A MicroSD card is a great add-on for smartphones (particularly Android phones) with insufficient storage. The use of the external memory card will provide your smartphone with additional memory space so you can store more photos or videos. The extra storage space can also be utilized for downloading games and other apps on your smartphone. 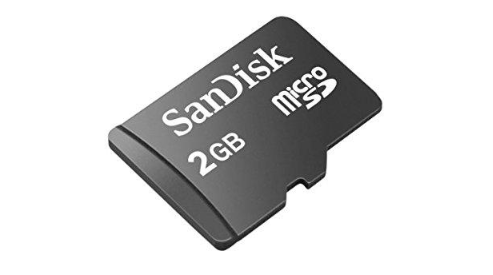 Depending on the available storage, the cost of buying microSD cards can range from cheap to expensive. So, it can understandably be frustrating when you encounter errors or when the microSD card won’t work upon insertion into your smartphone. There are a variety of reasons why a MicroSD Card error will occur. Here are some of the most common issues associated with microSD card problems on your smartphone and the ways to fix them. When dealing with errors on your smartphone and peripherals, it is important to start with the obvious problems. A broken microSD card might be a reason why it won’t work on your smartphone. It is not uncommon for circuits on an electronic device to be damaged when it is exposed to factors like heat or water, so look for signs of any physical damage when the card isn’t working. One thing you can do to test if the microSD card is broken is to insert it into other devices. If it won’t work in those other devices, then the microSD card is most probably broken. You can replace it with another one. Download a microSD card formatter on your computer. Launch the program and select the corresponding SD card drive. At the ‘Size’ box, choose the number indicated as the max size. Click ‘Start’. Wait until the formatting is completed before you remove the microSD card from your computer. Performing the steps above will help to correct any formatting issues in your microSD card that are causing microSD card errors. Any software problems on your Android smartphone can also affect the performance of the microSD card. When you perform a factory reset, this will help to fix any of those software problems. Go to ‘Settings’ and choose ‘Backup and Reset’. From there, select ‘Factory Reset’. If you are performing this step, you must remember the password to your Google or Samsung account in the event of a Factory Reset Protection Lock. It is also good practice to perform a backup of all files stored on your smartphone. You will be losing all of these files when you execute the factory reset. Go to ‘Computer’ and choose ‘System Properties’. Go to the ‘Device Manager’ on your computer’s task bar. Choose ‘USB Controller’ and tap on the ‘+’ button. This will reveal a yellow exclamation mark. Right click on that icon and choose ‘Update Driver Software’. Finally, click on the option to ‘Automatically Search for Driver Software Online’. Wait until the driver has finished installing. Once that is done, reboot your computer. Try re-connecting your microSD card again if it works. From the ‘Start’ button, choose ‘Control Panel’. Go to ‘Administrative Tools’ and choose ‘Computer Management’. A window will open. From there, go to ‘Disk Management’ and choose ‘MicroSD Card’ from the drive viewer. Choose ‘Format’ and it will automatically reformat your microSD card. Click on ‘Windows Key + X’ button and it will provide you with a power user menu. From there, go to ‘Command Prompt (Admin)’. Choose the ‘Yes’ button and you will be asked permission to launch the ‘Command Prompt’ as an administrator. Once the ‘Command Prompt’ window is live, type this: “chkdsk E: /f /r /x” (Note: Replace E with the MicroSD card letter). A microSD card that is filled with dust and debris can also become faulty. 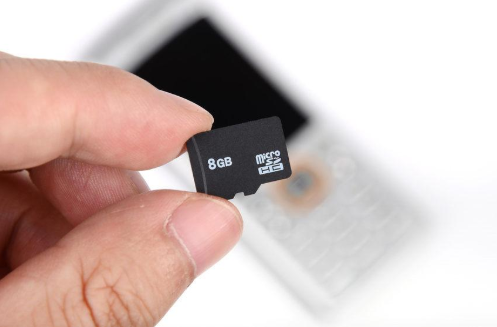 Make sure this is not what is causing issues on your microSD card when you insert it in your smartphone. Remove the microSD card from its slot and then clear any dirt or dust. Make sure that the card is not slightly bent, too. Check that the card is properly aligned to fit the sim card tray. It is also a good idea to do this regularly. This will help to eliminate any issues that might be associated a faulty memory card.